A Band of Brothers-esque gaming experience. The Call of Duty (COD) franchise has always excelled in some areas and fallen short in others. The latter more notably has been the quality and believability of storytelling, with each recent iteration of the game trying to push the envelope as far as warfare goes, and adopt a more futuristic tone. With last year's Infinite Warfare, there was quite a bit of backlash, with spaceships and fights on the moon perhaps pushing fans over the edge. As such, a significant amount of course correction was need from developer Sledgehammer Games. Luckily, Sledgehammer has delivered just that with Call of Duty: WWII (COD: WWII). As far as story goes, publisher Activision has been drip feeding gamers information about what this title will entail. 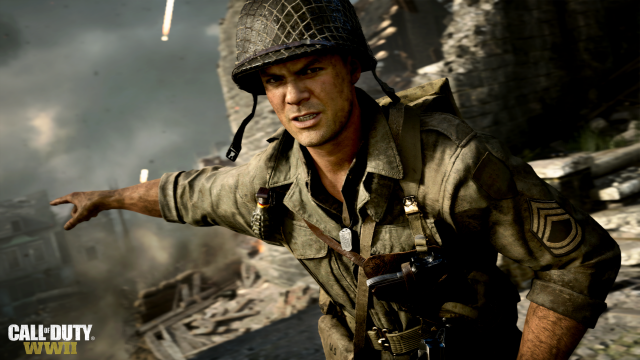 Having worked our way through the campaign, it's clear they're going for a kind of Band of Brothers-esque vibes, enlisting Hollywood actors like Josh Duhamel (Transformers) to breathe a bit more life into the performance. The story itself follows the journey of one Private 'Red' Daniels and a handful of his fellow squad members. There's a mix of fresh and old elements in the campaign. Regarding the latter, we start things off by landing on, and barely surviving, the beaches of Normandy, which is something several other World War II games (COD included) have done in the past. The storyline is kept interesting, however, by the friendship between Daniels and Private Zussman, along with dealing with a slightly unhinged commander in Sergeant Pierson (Duhamel). The cut scenes featuring these characters make for enjoyable viewing, and certainly aid in creating tension, fear and comradery. If we were to make one suggestion though, it may be to start things off in boot camp, which would not only help gamers get better accustomed to the controls, but also flesh out some of the story arcs which are worthwhile developing further. One area where Sledgehammer does this well is the backstory of Daniels and his connection to his father in particular, serving as a ghost that haunts him on the battlefield. 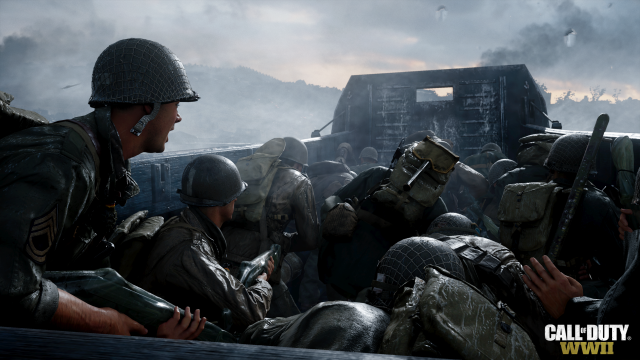 Shifting to the gameplay, which we got a taste for during the Private Multiplayer beta a couple of months ago, almost every element of COD: WWII is sharp. The environments are superbly rendering and highly detailed, as are the enemy Nazi soldiers that you're tasked with taking out. An example of the attention given to mechanics is the different reactions that certain shots fired make. If an enemy target is shot in the head, and wearing a helmet, the protective headwear flies up in the air with a direct hit. Also depending on the range of the weapon, the degree of damage changes from foe to foe, which may not be the best thing for squeamish gamers. Another nice touch is what happens when a specific part of the body is hit, with shots to the foot causing Nazi soldiers to hobble on the other. 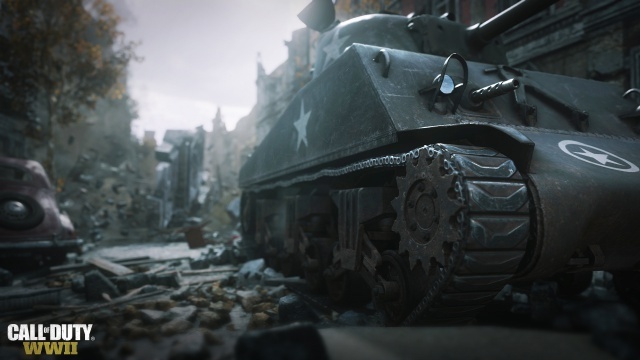 As far as the weapons go, it's clear to see that painstaking attention has been paid to this element of COD: WWII. You can hear the difference that each rifle makes, and depending on the gun, each sight, ammo reload and recoil is also unique. It's an aspect that may not interest all gamers, but in terms of authenticity adds just that little bit extra to gameplay. Despite being supremely polished, there are still a couple of snags. Jumping or climbing over objects is one. As is crouching and standing in specific areas, which in the heat of a battle can become a little frustrating. Also worth a mention is how you die in-game, which in our experience was normally due to rocket or mortar fire, and most of the time is hard to gauge which direction it came from. It's an aspect that becomes particularly frustrating when you have multiple health kits stored away and ready for use. Speaking of which, COD: WWII does a nice job of getting gamers to interact with their fellow platoon members. As such, it's important to always be aware of where Zussman, Lieutenant Turner and Pierson are on the battlefield, as they can help replenish your health kits, ammo and assist in spotting enemy targets respectively. 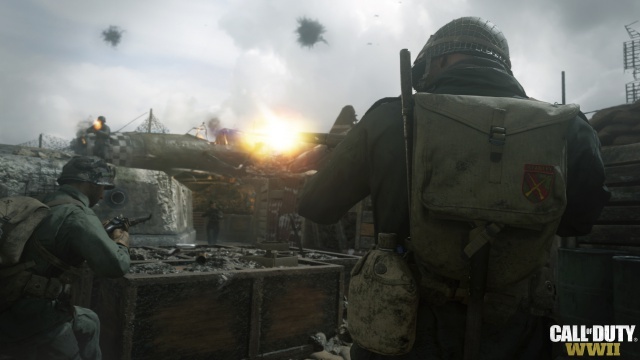 The story for COD: WWII does not solely focus on Red Daniels, although he is the gamer's eyes, but also brings in a few other characters for specific missions. Changing things up gamers get to play as French Resistance fighter Rousseau, as well as a Sherman tank operator and a US fighter pilot. The change in perspectives is a nice touch, and one element of the game we would have liked to see more instances of. As far as how each aspect went, Rousseau's was quite similar to Daniels, but did require a bit more stealth and snooping around. As for the tank and plane, we really enjoyed the former, especially when trying to outflank larger Panzers in tight areas of the map. The plane mechanics left a little to be desired, however, with adjusting of pitch, as well as engaging enemy targets proving difficult and at times counterintuitive. 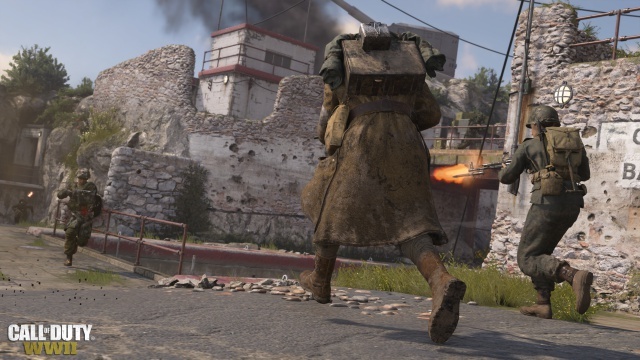 For future COD titles, changing up the perspectives is something we'd definitely like to see more of, as it helps to make complex missions engaging and far more interesting than simply running and gunning. 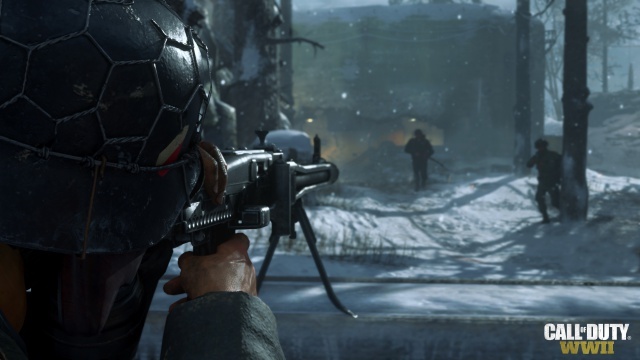 Whether it was trying to compete with Battlefield 1 or paid close attention to what gamers were upset about, the change in narrative for the Call of Duty franchise is a welcome one. It shows that the game has not lost any of its luster simply because this iteration does not feature exosuits and crazy weapons. Armed with a far more intriguing, and believable, story, as well as a solid and engaging gameplay, COD: WWII is well worth your time. The only thing really missing from this title is a longer campaign (this one lasted a relatively short 11 chapters) and bit more fine tuning of the movement mechanics. If you're a keen multiplayer, or enjoy killing virtual zombies, the other modes of the game will keep you well occupied though. All in all, this is a nice return to form for Call of Duty.